Rachael Carson once said, “In nature nothing exists alone,” and it’s not a far stretch to revise that quote to say, “In New Orleans nothing succeeds alone.” New Orleans is plagued with macro and micro injustices in this city — gun violence, environmental racism, mass incarceration, wage disparity; the list goes on and on. 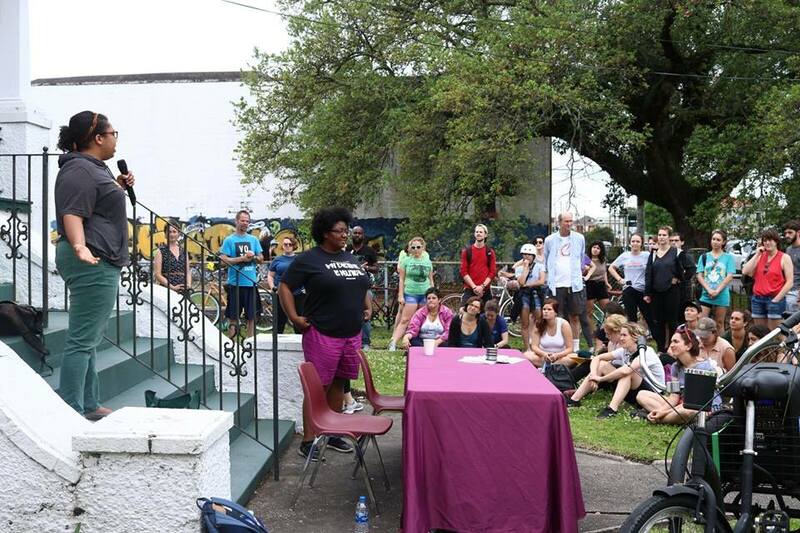 Only as a community can we succeed in combating these injustices, and that is exactly what the folks at Nola To Angola aim to do with their bike ride that will take place on April 6. Most people know Nola To Angola for its three-day, 170-mile bike ride from New Orleans to Angola in order to raise awareness about mass incarceration and also raise funds for the Cornerstone Bus Project, which provides free transportation for friends and family to see loved ones that are incarcerated. 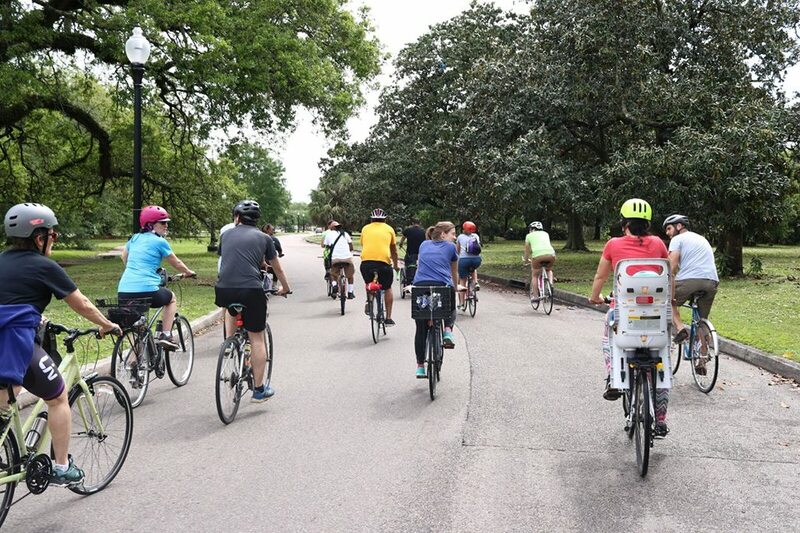 Nola To Angola has added another ride this year; this one they are calling Spring Brake, and it will be a 10-mile ride to visit four organizations that focus on youth and incarceration throughout the city. This is Nola To Angola’s second year offering a spring ride, which are often shorter and more accessible to folks since the ride stays in the city and culminates at about 10 miles. Although the ride will include stops at four different organizations, all of the organizations are linked together in their mission and focus. 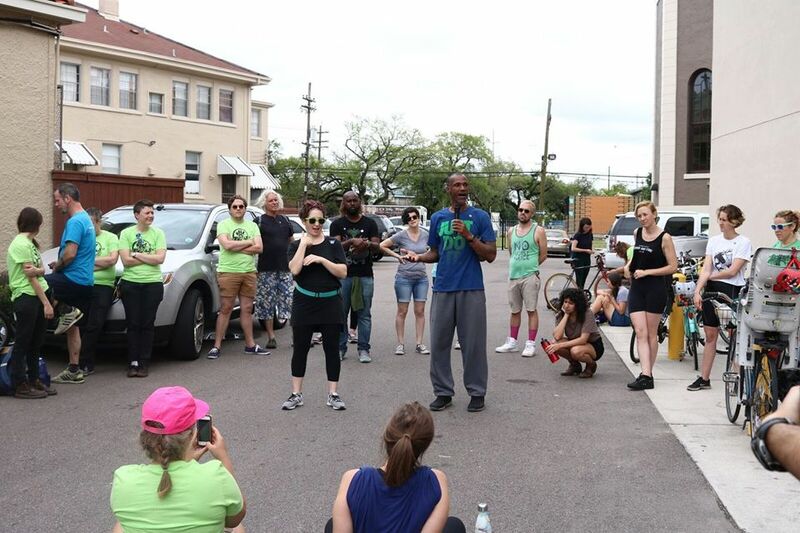 The four organizations, “All do work around fighting mass incarceration in New Orleans,” Nicky Gillies, one of the organizers for Nola To Angola says. “It’s great to learn from leaders in our community that are fighting against mass incarceration,” she says, and the folks at Nola To Angola want to do everything they can to support other causes that align with their mission. “All the work that we do is to try and support organizations that are keeping families together,” Gillies explains, so they choose their partner organizations with that mission in mind. For the April 6 ride, which begins at 10:00 AM from shelter #1 in City Park, they will be stopping at Families and Friends of Louisiana’s Incarcerated Children, Louisiana Center for Children’s Rights, Operation Restoration, and Ubuntu Village (you can find descriptions of the organizations below). Their aim is to bring together past bike riders, supporters, new organizations, older organizations, and new bike riders. All of this builds the community, and imagine the epidemic of support and help that can evolve from organizations not just supporting themselves but other similar organizations as well. Familiar faces and new faces will all be out on April 6, and if you are not up for the bike ride, there will be a celebration at the end of the ride that includes music and food in City Park. Representatives from various prison justice organizations will be present for information and conversation. In order to support Nola To Angola and/or register to be a rider in Spring Brake, you can check out their site here. 1.Families and Friends of Louisiana’s Incarcerated Children: Our mission is to create a better life for all of Louisiana’s youth, especially those involved in or targeted by the juvenile justice system. Families and Friends of Louisiana’s Incarcerated Children is a grassroots, state-wide, membership-based, inter-generational organization working to transform the systems that put children at risk of prison. Through empowerment, leadership development, and training we strive to keep children from going to prison and support those who have and their families. 2. Louisiana Center for Children’s Rights: Using direct representation and advocacy, we fight to keep children out of the justice system so that they can thrive in their homes and communities. We envision a Louisiana where every child, no matter their race or class, is free to be a kid and supported in becoming a healthy adult. 3. Operation Restoration: Operation Restoration supports women and girls impacted by incarceration to recognize their full potential, restore their lives, and discover new possibilities. We believe that focusing on achieving successful reentry through the advancement of higher education gives women the confidence, faith and wherewithal to endure. Operation Restoration helps in eradicating the individual and structural barriers to higher education, while establishing economic security, long term stability, and civic participation for women who have criminal convictions (including those currently and formerly incarcerated) and their families. 4. Ubuntu Village: Ubuntu’s mission is to provide programming that delivers social, economic, and transformational justice to children and communities. We work primarily with youth who are involved in the criminal justice system and their families. Our program involves immediate triaging and connecting to services as well as longer term educational planning, skills development, mentoring, and leadership development. This includes anti-oppression training, know your rights curricula, restorative parenting discussions, participatory action research, and history lessons.